For some reason, I’ve been hooked on making dishcloths & scrubbies lately. (No pun intended.) I think it’s because the patterns are easy to remember and I don’t have any large projects going on at the moment. These are from a book I purchased recently. Well that is definitely a dishcloth shape I have never seen before. It is very unique! 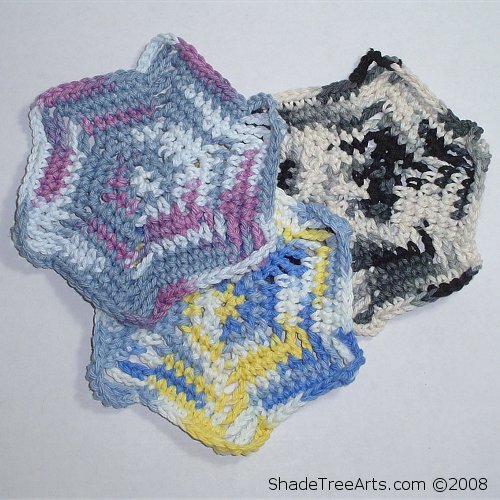 Very nice – and the variegated yarn really makes them distinctive. I love the lamb! So cute!